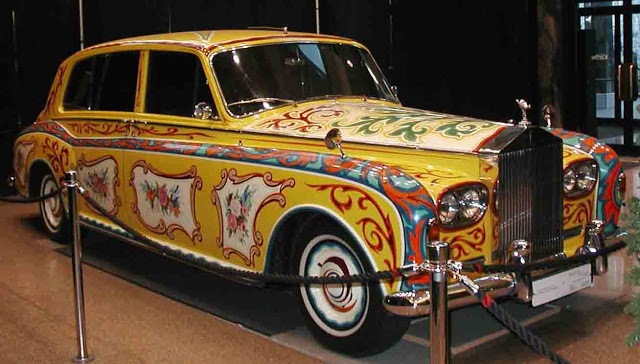 John Lennon’s taste for cool cars is well known and his super cool Rolls Royce Phantom V. chassis 5VD73 with FJB111C license plate is nearly as legendary as the legend himself! 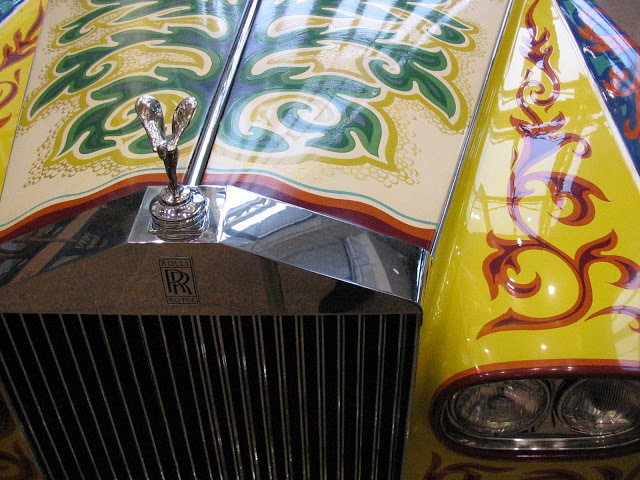 Why Lennon choose Rolls Royce was the opportunity of personalising it. In 1965 when Lennon got his hands on this Rolls Royce, he immediately set about personalised it. 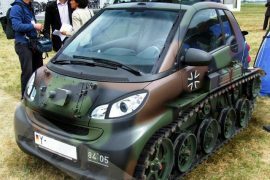 Lennon was unhappy about the dull uncool colour of his Rolls that clashed with his extrovert and magalomaniac personality. 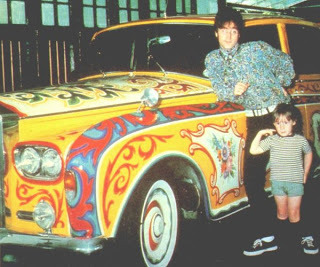 So Lennon ordered a psychedelic paint job from a group of Dutch artists, who filled his car with all sorts of cornucopias, multi-colour florals and yellow background. Lennon was stunned and paid £2,000 for it…that’s a whole lot of money back in the 60’s! Needless to say, the car shocked Britain’s mentality at the time, for whom Rolls Royce was motive of national pride. Some say there was an elderly lady who was so shocked she actually hit the car with her umbrella! 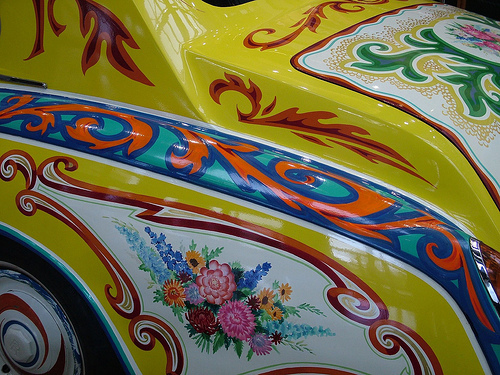 When Lennon and Yoko moved to the USA, the car moved with them. 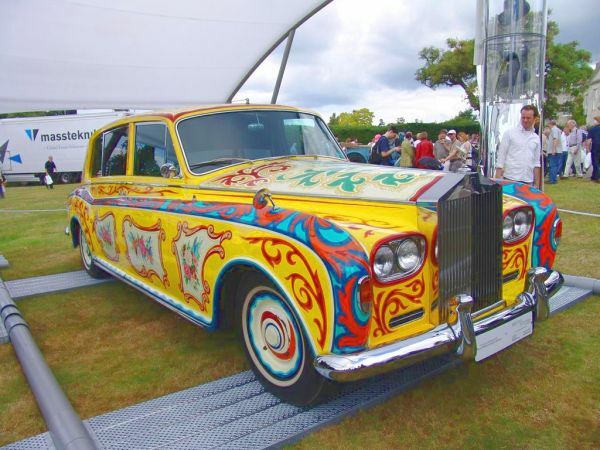 Already on American soil, it was “lent” to other musicians, such as the Rolling Stones and Bob Dylan, until it was placed in a garage and, later, donated to the Cooper-Hewitt Museum in New York, where it remained from 1978 until 1985, when it was finally auctioned. 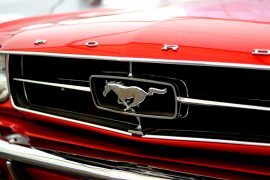 The winning bid reached the $2,299,000 USD and allowed Jim Pattison, a Canadian millionaire to become the proud owner of the famous automobile. 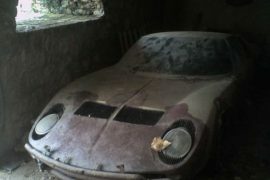 Later, as an act of kindness, Pattison offered the car to the queen of England. Today, it can be found on display at the Royal British Columbia Museum in Victoria. 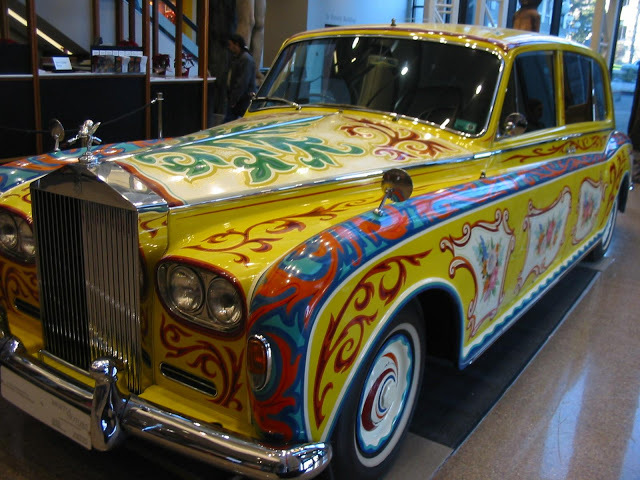 Ya museum is the right place for this car..
See it and believe that pounds 2000 in 1960s was paid for this design and coloring (sounds like making fun of color choice of Rolls Royce).